From a small wooden platform we look over the edge into The Pit as it’s called. 3, 2, 1, my feet push off the platform and I free fall 6 meters and plunge into the cool water. We are in the jungle of Mexico’s Yucatan Peninsula and today we are going to experience some scuba diving below the earth into a sunken cave, known as a cenote. 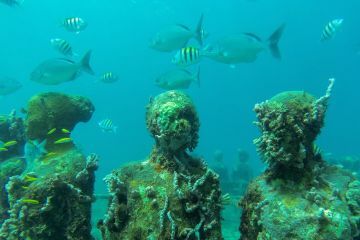 We release our air and slowly sink into the deep blue water which was thought of as the underworld by the Mayans. Unlike the ocean, the water inside the cenotes does not have strong currents or sounds which adds to the tranquility of this site. 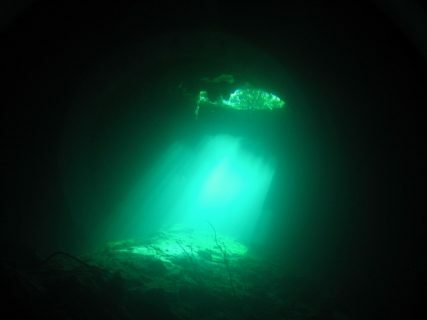 Also unlike the ocean,visibility is not an issue because the water in the cenotes is rainwater that has been filtered through the earth. Looking back once more into the sunlight that beams down through the entrance of the cenote, divers above become black silhouettes against a clear blue background. Once at the depths of the cavern we are nearly in complete darkness. One after another we follow our guide through a narrow tunnel. The only reassurance is that if he can fit through so can I. Carefully we glide through the tunnel, finding the balance to not scrap up sediments on the floor that would fog the tunnel and not hitting our head on the ceiling above. Inside the depths of the cenote, by the light of torches, large cave formations, stalactites and stalagmites are illuminated. Some formations are so old that they have grown together into large columns. Light shines through at the end of the tunnel, we have made it back to where we started, the large “room” of the entrance of the cenote. 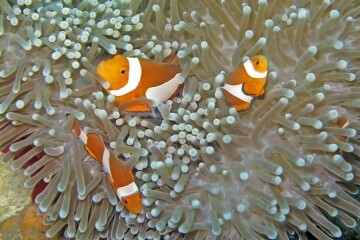 It is a large pool surrounded by geographic formations. We ascend gradually in a spiral as we explore the walls of The Pit. Making our way to the surface we leave another world. Cenotes were a vital part to ancient Mayan civilization because they are the only fresh water source in all of the Yucatán. 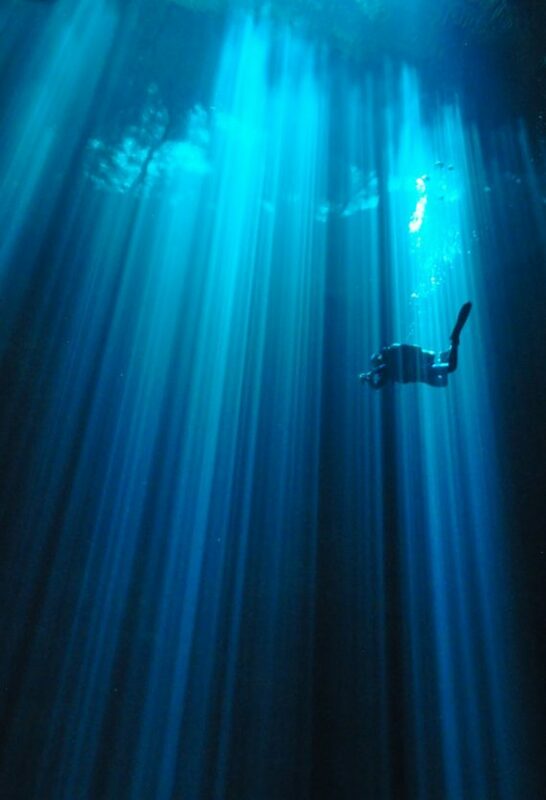 This life giving source was sacred to the Maya and they believed that the cenotes are entrances to the underworld. This connection has led to many archaeological finds. The fresh water has perfectly preserved the pottery, weapons, jewelry and even humans that were thrown into the cenotes as sacrifices to their gods. On our dive at The Pit a team of archaeologists were collecting samples. One member had a mold of skull that had been found in a cenote. However this skull didn’t come from a sacrifice, it was dated much, much earlier which has led them to believe that it is from a cave woman who lived there before the ice age. During the ice ages, the ocean levels were much lower than they are today. The Yucatan Peninsula had a massive cave systems which formed by gradual dissolving of the highly porous coral limestone. Inside the caves the geological formations such as stalactites and stalagmites formed. As the ice age ended, the ice began to melt and the sea levels rose, many of the caverns collapsed and partially or completely flooded the cave systems. Mexico is home to the 5 biggest caves in the world. 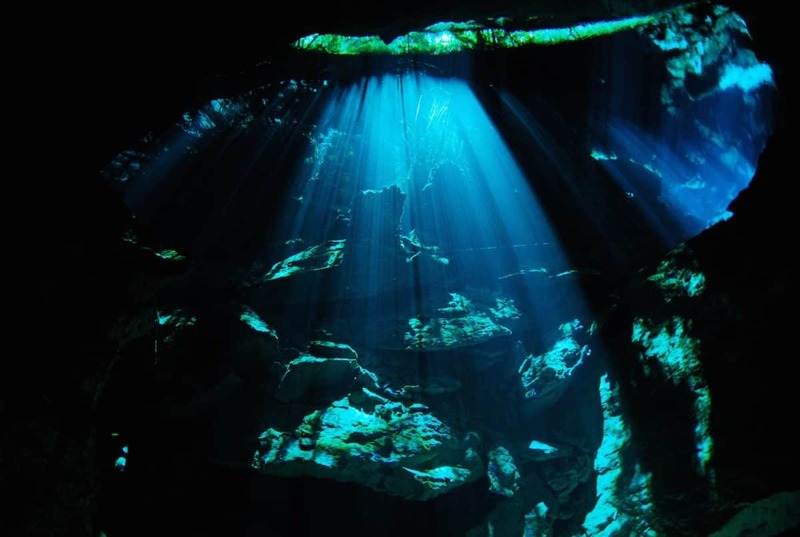 The Yucatan Peninsula has over 10,000 cenotes however less than half have been studied. The cenotes are connected by narrow tunnels which the largest underground river system in the world runs through. The length of this network is incredible, some passages run like veins through the earth for hundreds of kilometers. 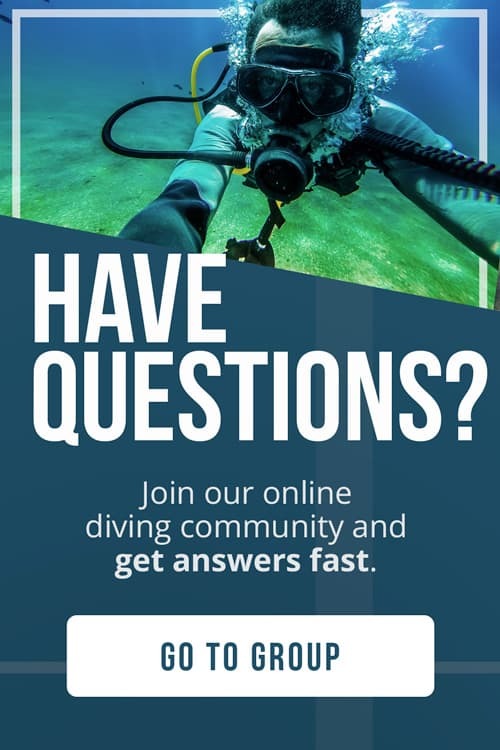 Depends on how many cenotes you would like to dive. 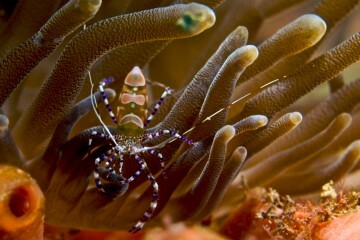 A two tank dive will take a few hours, more or less depending on transportation time. All year around. The temperature and visibility of the water inside the cenotes is not affected by the weather. For less crowds, go during the slow season, September and October. Swimming, snorkeling and diving tours can be organized from Mérida, Villadolid, Cancún, Playa del Carmen and Tulum depending on which cenotes you would like to visit. The two cenotes we went diving in, Dos Ojos and The Pit are located closest to Tulum. Go in the afternoon to avoid the tour bus crowds that come from Cancun to Playa, they usually arrive early morning and have gone by the afternoon. Also the cool water of the cenote is more refreshing in the middle of heat of the day. Also, don’t forget to bring your own diving computer. Diving under the earth, floating between cave formations in the calm, clear water was an incredible experience. The unique environment of the caverns along with the ancient history of the cenotes makes it two of our most memorable dives. 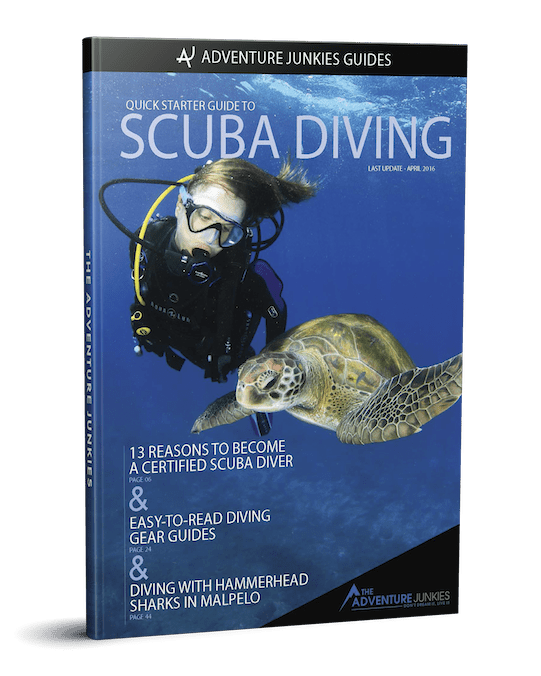 A big thanks to Divers Underground for allowing us to use their pictures. 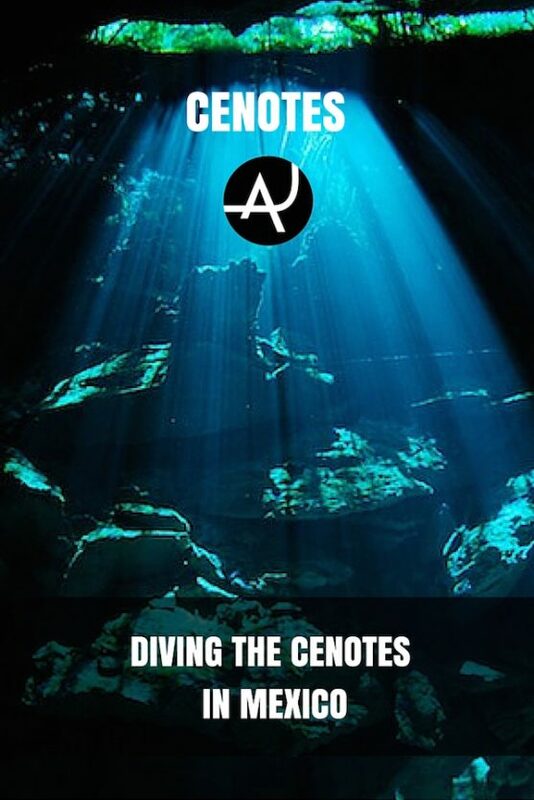 If you are interested in diving the cenotes please check out their website.